RD Media Technologies is an early-stage, Colorado corporation, dedicated to the development of quality games and language services for today’s global market demands. App Developers need to deploy their Android, iOS, and Windows Phone Apps to testers and receive feedback. EasyBetaTest was created because other testing platforms are NOT as easy-to-use for basic App deployment, distribution and tester feedback and management. EasyBetaTest has beed designed to empower a developer to Register, Upload a Build and Invite Testers – all within 10 minutes from Signing Up. Then, dive deeper and discover our uniquely simple, but tremendously powerful Tester Management Interface – only available on EasyBetaTest. A word-game for board, electronic or video game platforms. The invention is configured to support any written letters, words, story or literary work. 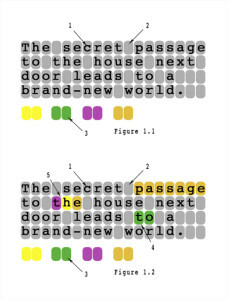 The invention includes a placement and scoring method for objects or tiles which mirror the placement of letters and words, which are often as part of a story or literary work. RD Media Technologies’ mission is to create world-class software which is dedicated to the development of quality games and language services for today’s global market demands.